Often times, new methadone treatment clients experience a renewed sense of hope and vigor. The prospect of no longer feeling sick, or having to spend hours looking for opiates, brings incredible relief. 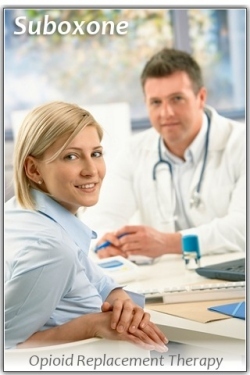 Most clients familiarize themselves with the requirements of treatment and then follow the program as is prescribed. And particularly so if their home clinic is professional, organized, and takes an active role in interacting with their clients on a regular basis. However, human nature tends to look for the path of least resistance, “the easy way”. This sometimes results in a client beginning to skip individual or group counseling sessions. Or in other cases, procrastinating on completion of their Medicaid renewal forms which results in the sudden termination of Medicaid payments for their methadone treatment. For some clients, old bad habits are hard to break, and they can ease back into complacency & put off important things once the crisis which brought them into treatment has been alleviated. It is important that treatment clients identify daily priorities, live in accordance with a schedule, and develop the necessary discipline to follow through on important matters. Addiction is a cunning and baffling disease that undermines progress in both subtle and mysterious ways. Every client in recovery (and in methadone treatment) must make a firm personal commitment to put their recovery needs first. This mindset (and the accompanying healthy choices which are made on a daily basis) are essential to long term success. Admission to an opioid treatment program is an excellent first step, a life saving decision for so many. When clients pursue real growth and try to re-engage with life, then real living can begin. Not being “dope sick” is valuable in itself, but investing in the recovery process and accepting the challenge to change leads to great discoveries, and a much better quality of life. Don’t just stand idle on the sideline. Step onto the field. Life is waiting! Most clients choosing opioid replacement therapy have it in mind that they will one day taper off of methadone once they are feeling better and have restarted their lives. 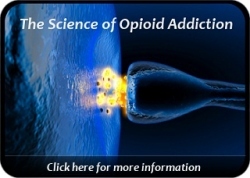 Interestingly, there is considerable confusion around tapering, and this seems to be the result of opioid addicted people having tried unsuccessfully to “detox” themselves at home, or possibly having come off of methadone cold turkey. For some, the vivid memory of abrupt withdrawal tends to exaggerate one’s fears & apprehensions. And of course, there is always someone around who seems to enjoy telling horror stories of “how bad it was” when they came off of methadone. The reality is that nearly always this person did not follow the appropriate taper process, and came off of their medication far too quickly. So what is the reality of methadone tapering? First, a recovering individual needs to avoid being in a hurry to taper. Methadone (and suboxone) must be given the proper chance, and proper time span, to allow for establishing stability in one’s life and the building of a solid recovery. A person should pursue tapering as a goal only after they have invested time in the recovery process. Without some degree of positive change & personal inner growth, tapering off of methadone too early leaves a person with nothing to fall back on … except the same old thinking and lifestyle choices that led to addiction. Once an individual has their life in better order, and with some new skills & supports in place, then considering a taper becomes a reasonable goal. Sadly, some methadone clinics (and private physicians too!) do a poor job of preparing their clients for successfully tapering off of opioid replacement medication. Good clinics will always be open to tapering … as a valued client alternative, and right. Successful tapering begins with the belief that tapering is a possibility. This requires that a client be educated on the merits of gradual dosage reduction, and reassured that their clinic will walk with them every step of the way. Gradual dose reduction might be just 1-2 mg per week, and with occasional pauses or breaks in between dosage reductions. This eases one into tapering … like sticking one toe at a time into a bath to see how hot or cold the water is. This is much preferable to just diving in head first! The gradual approach allows clients to test the waters with very small decreases, thereby giving their bodies (and minds) time to adjust to slightly less medication. Many clients find that this strategy works very well for them. After slowly reducing one’s dosage in this fashion, a client can begin to build confidence that tapering is a do-able process, as opposed to some insurmountable wall that they will never scale. Aiding this process is the support & guidance of one’s counselors & medical staff, as well as one’s family or friends. These individuals can either help or hurt the process depending on their level of knowledge about tapering and their attitude toward the client during this process. Sometimes, family and others in the recovering person’s life will apply pressure to hurry the taper process. Even members of the 12 Step recovering community can sometimes exhibit judgmental attitudes toward methadone treatment clients as they move through their recovery journey. Positively, some AA/NA members are becoming more educated on opioid replacement therapy, and are adjusting their views to support people in methadone treatment instead of ostracizing them. This rejection phenomenon also occurred some years ago in regard to psychotropic medications prescribed for people with co-occurring disorders like depression. Thankfully, the larger 12 Step-based recovering community became educated on medication therapy, and eventually supported people on medication for depression and other mental health conditions. In closing, I want to encourage methadone clients to invest in their addiction treatment and the recovery process. Developing support & coping skills enables one to face and overcome challenges which used to seem overwhelming. Our clinic recently had two clients successfully taper down to 0 mg of methadone (that’s completely off!) over a course of 12-24 months. There are indeed some people who may need to remain on opioid replacement for the duration of their lives, which is a topic for another day. But do not automatically assume this is true for you. Yes, each client in methadone treatment should view their life & circumstances from a realistic perspective. But each client should also be encouraged to consider all of their options, including the possibility of a successful medication taper. Successful tapering happens everyday. It is a reality. Science is advancing. Addiction treatment is advancing. New medications and new approaches are being implemented most all the time. Do not rush to taper off of methadone or suboxone if they are working for you. But, do not be afraid to consider this option either. Tapering is a distinct possibility, and a worthy goal. Approach it with patience, cultivate a positive attitude in regard to tapering, and discuss it periodically with your counselor or physician. Do not underestimate yourself or your ability to accomplish things which are important to you.